Diamonds are forever, but these blue-white stars are not. They are burning their hydrogen fuel so ferociously they will explode as supernovae in just a few million years. The combination of outflowing stellar “winds” and, ultimately, supernova blast waves will carve out cavities in nearby clouds of gas and dust. These fireworks will kick-start the beginning of a new generation of stars in an ongoing cycle of star birth and death. This composite image of Trumpler 14 was made with data taken in 2005-2006 with Hubble’s Advanced Camera for Surveys. 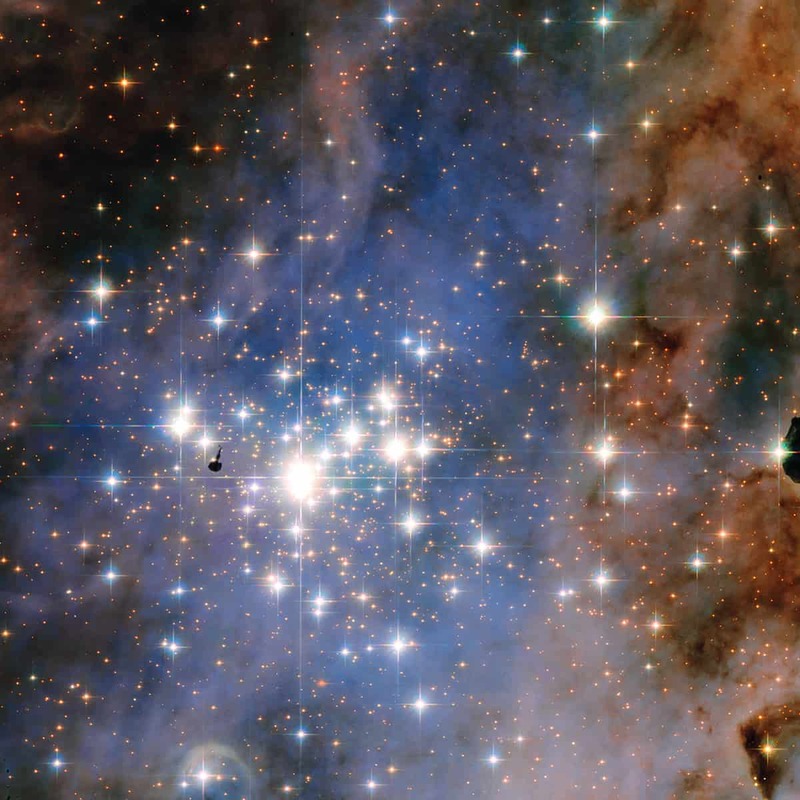 Blue, visible, and infrared broadband filters combine with filters that isolate hydrogen and nitrogen emission from the glowing gas surrounding the open cluster.